A Moscow court has rejected an electoral fraud lawsuit by the democratic Yabloko party and refused to cancel the December 4 parliamentary vote results at one of the capital’s polling stations. The party claims that its observers had recorded serious violations and election fraud at polling station № 1348. 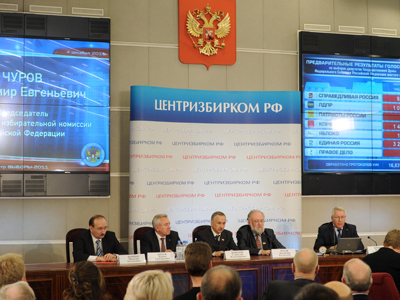 Particularly, according to a record handed over to the monitor, the Fair Russia party got 160 votes, 135 citizens voted for Yabloko, 260 cast their ballots for United Russia, and 12 people preferred Right Cause, the Yabloko official website reports.However, later, the Moscow City Election Commission published completely different numbers, with Yabloko getting only 10 votes and the ruling party United Russia 561 votes. Judge Elena Zhdanuyk from Moscow’s Lefortovo Court, though, found no grounds for annulling the vote results even after a member of the district election commission with full voting status confirmed in court that his signature on “the falsified record” was forged. Earlier, several other Moscow courts also threw out Yabloko’s complains against alleged election violations. 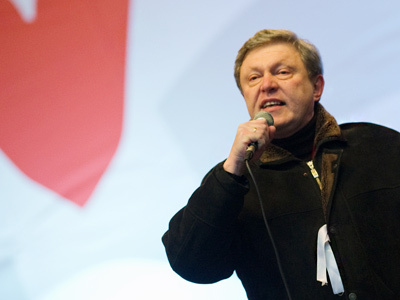 Meanwhile, Grigory Yavlinsky, a Yabloko co-founder – one of the oldest Russian democratic parties – is set to take part in the March 4 presidential poll. The politician has already submitted required documents to the Russian Central Election Commission. Now, to be officially registered as a candidate, he has until January 18 to collect 2 million signatures from supporters and submit them to the CEC. 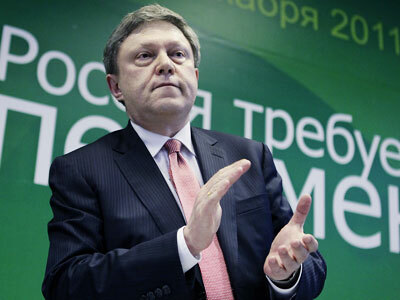 Yavlinsky, 59, is confident that the party will manage to fulfill this requirement. 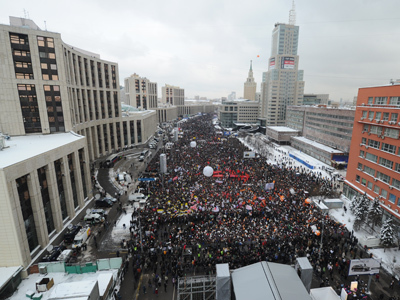 “There’s never been such atmosphere as it is now,” he noted in an interview with Vesti-24 news TV channel. “A huge number of people” are coming to Yabloko offices offering to put their signatures on the candidacy list. 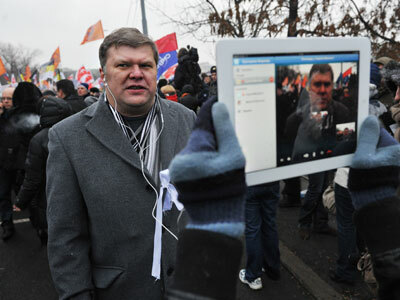 “In a few days, by January 1, we will have half-a-million signatures,” Yavlinsky said.